Greetings from Maritime Weekly, a newsletter published by Apex Group for Maritime World Services, a research, executive search, and events management platform for the global maritime ecosystem. Our editorial board comprising reputed maritime, logistics, and media leaders curates key maritime news and analyses once a week, to support you in making informed decisions in the week ahead. Canada’s free trade deal with the EU could provide an inspiration for the UK after Brexit and Japan’s NYK has warned of 195 bn yen impairment indicating shipping lines continue to face challenges. A network of European, American and Asian ports are set to develop harmonized LNG bunkering standards and Ports America and Cooper T. Smith are in a joint venture. King Abdullah port of Saudi Arabia ranked fastest growing port in the world. Landlocked Ethopia connected to the Red Sea by a new railway line built by Chinese companies and the Indonesian state railway operator is to pursue 400 million USD freight businesses. Italy’s Fincantieri is diversifying into cruise, naval and off-shore shipbuilding and Japan’s Kavasaki Heavy Industries may exit shipbuilding. Maritime Nation India 2016 had over 2000 visitors, 40 exhibitors and 60 speakers in the twelve conferences. These included seven conferences around each of the seven maritime and logistics segments and five conferences by industry associations, leveraging the event as a platform. The China-Pakistan Economic Corridor project portfolio of 46 billion USD includes four parts development of Gwadar port and the investment in Iran’s Chabahar port is to be expedited. Norway has created the world’s first test bed for autonomous ships and the Indian government approved India-South Korea agreement for maritime education and training including seafarers’ certification. LNG powered cruise ships of Carnival Corporation are set to enter service by 2019 and large cruise ships are experimenting policies and practices to cater to their massive passenger volumes. The Maritime Weekly Editorial Board. Canada’s Comprehensive Economic Trade Agreement (CETA), a free trade deal with the EU promises that about 98.6 per cent of goods traded between Canada and the EU will be free of duty. Britain could accept Canada-type trade deal, CETA, after Brexit. The global shipping industry continues to face challenges as Japan’s NYK warns of multi-billion yen impairment. Yusen Kabushiki Kaisha (NYK) has warned, its half-year results will take 195 bn yen impairment and ship value write downs of 35 bn yen for losses. The industry has already been facing oversupplies, the weak global trade and fighting for business with the slashing of freight rates. At the Singapore’s International Bunkering Conference, development of a set of harmonized LNG bunkering standards was formalized through a MoU. The use of LNG as a marine fuel is becoming widespread which reduces environmental impacts. The standards would provide a guide to ports to be LNG bunker-ready. The joint venture began break bulk operations in Houston and acquired the Shippers Stevedoring and Chaparral Stevedoring this month. It would include the operations at City Docks, off-dock CFS in Bayport and Barbours Cut. King Abdullah Port is perhaps the first port to be owned, developed and operated by the private sector. A report by Container Management magazine indicated that with its strategic location and state-of-the-art technologies, King Abdullah Port ranked the fastest growing ports. King Abdullah Port’s rapid growth is in the light when the market faces challenges and global growth is declining. Landlocked Ethiopia connected to the Red Sea by a new railway line. Landlocked Ethiopia is one of the fastest growing economies in Africa but the imports-exports are by roads. A fleet of trains have begun servicing the route from the Ethiopian capital, Addis Ababa to Djibouti's sea port. The railway line, built by Chinese companies, is expected to be a game changer and would benefit Ethiopia and Dijbouti. The firm expects freight service to be 60% of the total revenue from less than 50% currently and aims to earn 471.3 million USD in cargo revenue. The State railway operator, KAI expects the increase, to be backed by information technology advancements and connectivity to the warehouses and ports. Fincantieri grew from a local company to an international, diversified corporation. The company’s diversification in cruise ship building, naval vessels and offshore strategy makes the company less prone to suffer from economic cycles. The decreasing orders and low profitability in the sector hurt the finances and caused disappointing forecasts. The company’s Board of Directors will take decision until March 2017. Kawasaki Shipbuilding Corporation is owned by Kawasaki Heavy Industries and the product range includes LNG and LPG carriers, container ships, bulk carriers and VLCCs. Maritime World Services shares industry insights though the newsletter Maritime Weekly to over 5000 senior executives across the world and conducts South Asia’s leading exhibition and conference for the maritime and logistics ecosystem: Maritime Nation India. This event was held for the first time in New Bombay and received very promising feedback from over 2000 visitors and over 40 exhibitors. Maritime Nation India 2016 featured twelve conferences over three days. These included seven conferences around each of the seven maritime and logistics segments, also covered in this newsletter and five conferences leveraging the event as a platform, conducted by industry associations and the maritime & logistics community on key themes including: Goods & Service Tax (GST), Authorised Economic Operator (AEO), Single Window Implementation for exports & imports etc. One of the highlights of the conference was the International North South Transport Corridor (INSTC) International Conference 2016, conducted by the Federation of Freight Forwarders of India (FFFAI). Maritime Nation India 2016 had participants from over 10 countries, over 60 speakers from the government and from the industry. The event was inaugurated by Mr Deepak Shetty, Director General of Shipping, Ministry of Shipping, Government of India. Other dignitaries, including Air Cmde Ranjan Mukherjee, Additional Director General, Prasar Bharti and the founders of Maritime World Services were present at the inauguration ceremony. The theme for the event, for the conferences and how stakeholders are leveraging the Maritime Nation India platform was covered in the welcome address by Mr Subhasis Ghosh, Managing Partner, Apex Group and co-founder Maritime World Services. Mr. Sanjay Bhatia – Chairman , Mumbai Port Trust, Mr. Neeraj Bansal - Dy. Chairman , JNPT, Mr. Rajendra Kumar Meena Joint Commissioner (IT) Central Board of Excise & Customs, Department of Revenue, Ministry of Finance, Mr. Niraj Ambani - President - Group Logistics, Reliance Industries, Mr. Arun Kumar Gupta - Managing Director , India Ports Global and Rear Admiral S.N. Ghormade - Flag Officer Commanding, Maharashtra Naval Area were amongst the dignitaries who graced the event with their participation. Considering the overwhelming response and requests from the participants and industry, the organizers are working on an even better event next year and would announce the dates for Maritime Nation India 2017 shortly. China-Pakistan Economic Corridor (CPEC) is the name of a portfolio of projects worth of 46 billion USD. 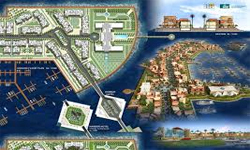 It includes four parts of the Gwadar Port development, road connectivity, railways-airports and energy projects. The objectives of CPEC and the plans are attractive for the economic development of the region. The initiative will allow testing of technology for autonomous vessels. The project was launched by the Marine Technology Research Institute, the Norwegian University and the Trondheim Port Authority. Kongsberg will use it for the development of automated systems. It is expected to make maritime transport safer and efficient in future. The shipping ministry has amended the ‘International Convention on Standards of Training, Certification and Watch-keeping (STCW) for Seafarers-1978’ norms. The approval would pave the way for mutual recognition of certificates on maritime education and training for seafarers. Carnival Corporation is planning to operate seven cruise ships powered by liquefied natural gas (LNG). It recently confirmed a deal with Shell to supply LNG for the first two ships. The launch is scheduled in 2019. Currently, massive ships plying the world oceans are major sources of pollution by carbon emissions. To cater to the higher passenger volumes in larger ships, cruise lines are experimenting different policies and practices. Their diverse sets of planning involve differently handling passengers, their boarding, luggage arrangements, dining room facilities and arrangements to ensure larger cruise ships able to get off the passengers at certain port locations. DISCLAIMER: Maritime Weekly is an educational newsletter for maritime industry stakeholders. You have been chosen to receive this either by prior contact or professional association. If you have received it by mistake, do please accept our apologies. You can unsubscribe by clicking the link at the bottom of this mail.